Warning: trip is likely to include copious amounts of pasta, great wine and relaxation on fab beaches. We flew nonstop on Alitala’s A330 from Miami to Rome, and then connected to Florence for our first stop: Tuscany! We bought the tickets through the Chase Ultimate Rewards travel portal which brought the grand total of the tickets to about $545 per person. OTM tip: While we appreciate the value and convenience of the Chase travel portal, we learned that tickets booked through the portal have very little flexibility. This means that you may not be able to pick your seat before the flight, and if you were hoping to bid on a business or first-class upgrade, you most likely won’t get that opportunity since those are typically reserved for customers who booked directly with the airline. The bottom line is this: if you have a ton of points and want to take advantage of the bonus mileage that Chase provides for in-house redemptions, go for it. Just know that you won’t have as many options before check in as the average consumer. 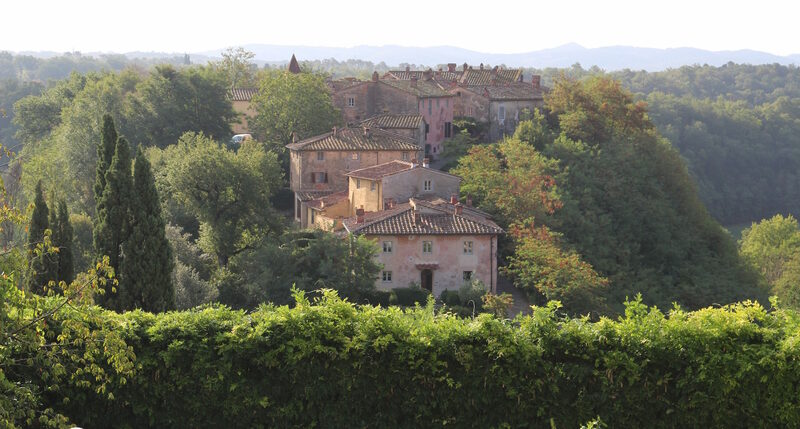 WHERE TO STAY: We started our trip at the beautiful Villa di Piazzano in Cortona, which is perfect for active people who want easy 10-15 minute access to a cute village with shops and restaurants. 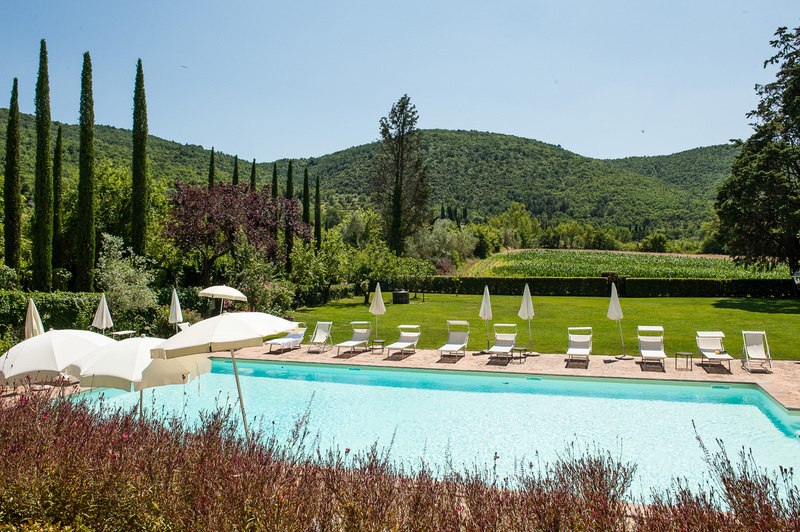 After a few days, we switched to our favorite place in all of Tuscany, because no trip would be complete without a stay at luxurious Il Borro, owned by the Ferragamo family. Il Borro is basically its own medieval town with tons of onsite amenities, so you never really need to leave the property — a true all-in-one Tuscany experience complete with wine tours, activities like truffle hunting and horseback riding, multiple restaurants and a collection of adorable artisan shops. WHAT TO DO: We decided to winery-hop on our own and started our first day with an eco golf-cart tour at Monte Vibiano Vecchio. The tour itself is free and they provide 4 tastings (1 white, 2 red, 1 rose) + samples of their unbelievable olive oil with bread. 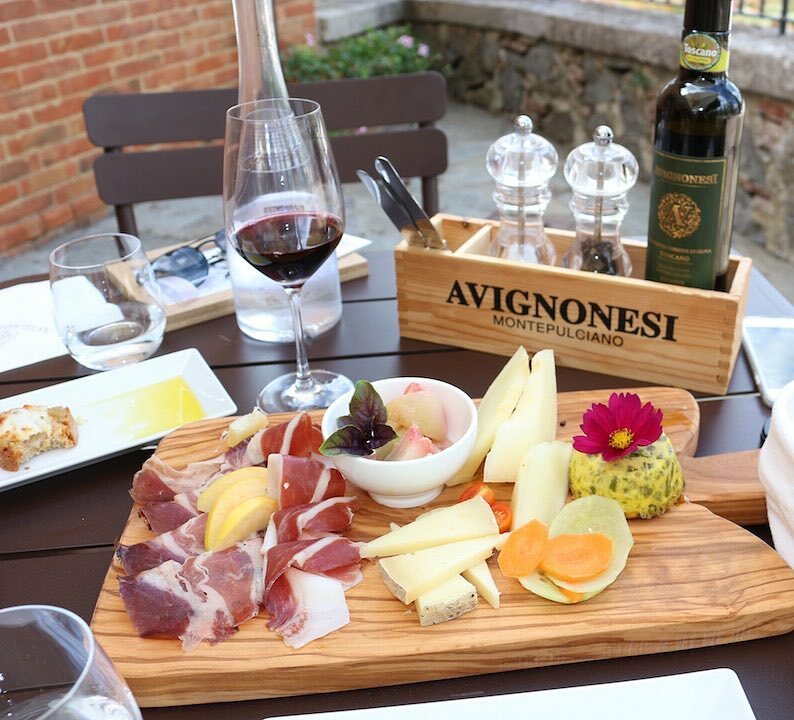 Then, we headed to Avignonesi for a light lunch and wine pairing (absolutely delicious, but a bit on the $$$ side) before finishing our day at Barrachi, which is at the Relais and Chateaux property called Il Falconiere. We also recommend a little drive out to Pienza — a tiny village in Southern Tuscany — if you’re as fond of cheese as we are. It’s a charming 15th century town/UNESCO World Heritage Site and most importantly, it’s the city of cheese. WHERE TO STAY: We stayed at a cute little boutique hotel called San Firenze Suites, which we loved for its modern, spacious rooms and convenient location in the heart of the city. That said, if you’d prefer a room with a view, we’re obsessed with the ultra-luxe Portrait Firenze which has views of the Arno River and Ponte Vecchio. WHAT TO DO: Visit San Lorenzo market for amazing souvenirs (closed on Sundays and Mondays), go inside the Mercato Centrale at San Lorenzo market to grab yummy meats, cheese and wines from the different stalls and then take it all over to Boboli Gardens for one killer picnic. After you eat your body weight in everything previously mentioned, climb the Duomo for unbelievable panoramic city views and endless Insta opportunities. 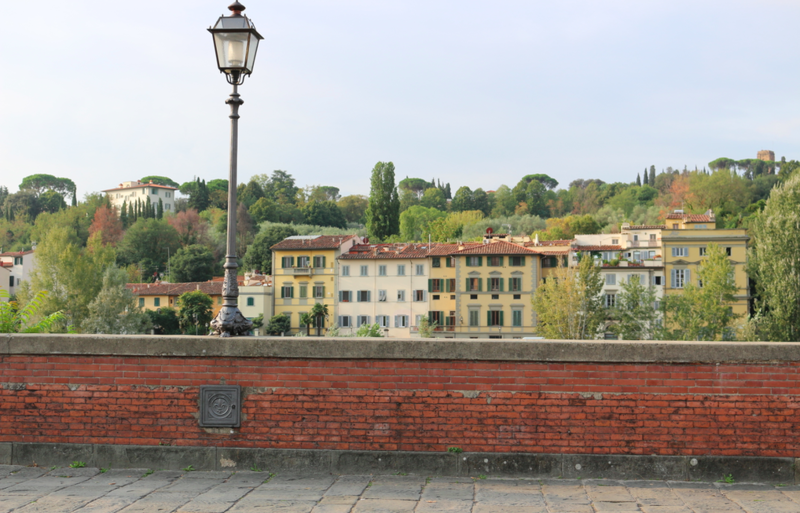 Art lovers should spend some time at Uffizi Gallery or Galleria dell’Accademia to see the statue of David, and if you get tired of art and sites, you can take a day trip to San Miniato for truffle hunting. 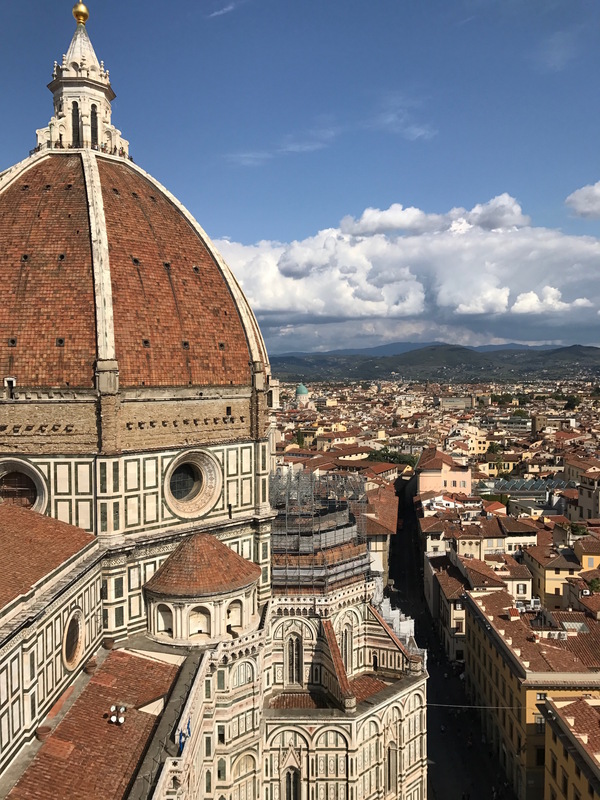 OTM Tip: If the Duomo line is outrageous and/or sold out, we actually prefer climbing the bell tower instead, so your pics will have a view of the duomo and surrounding city. WHERE TO STAY: We’re huge fans of modern hotels and tbh, get really skeeved out by old-school patterned comforters. With that said, it became really tough to find a suitable spot for us in Venice, since most hotels are dated to the max and modern just isn’t a thing. We were excited to find a brand new hotel called Palazzo Veneziano, which is in the Dorsoduro neighborhood just 10 minutes by foot to the heart of San Marco. 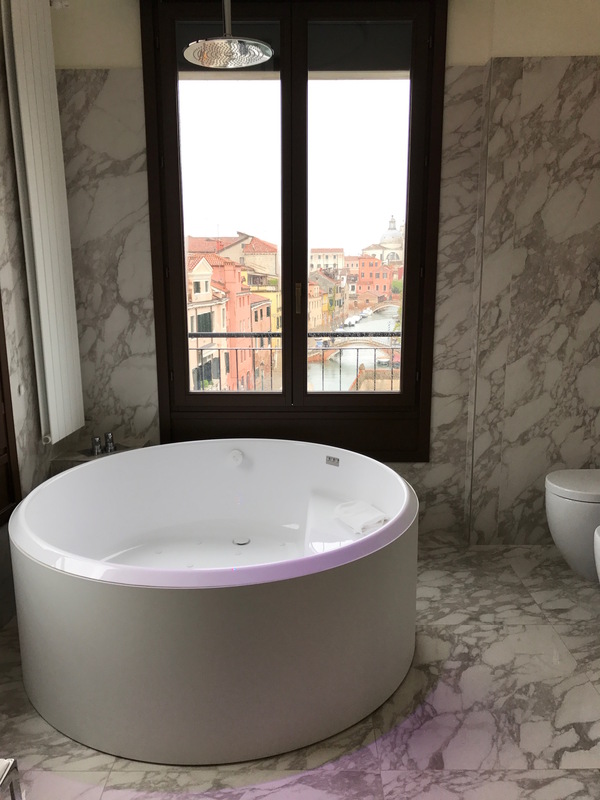 The rooms all have really cool features like floor-to-ceiling marble bathrooms, and ours kicked things up a notch with an oversized jetted tub, overlooking the colorful houses on the canal. 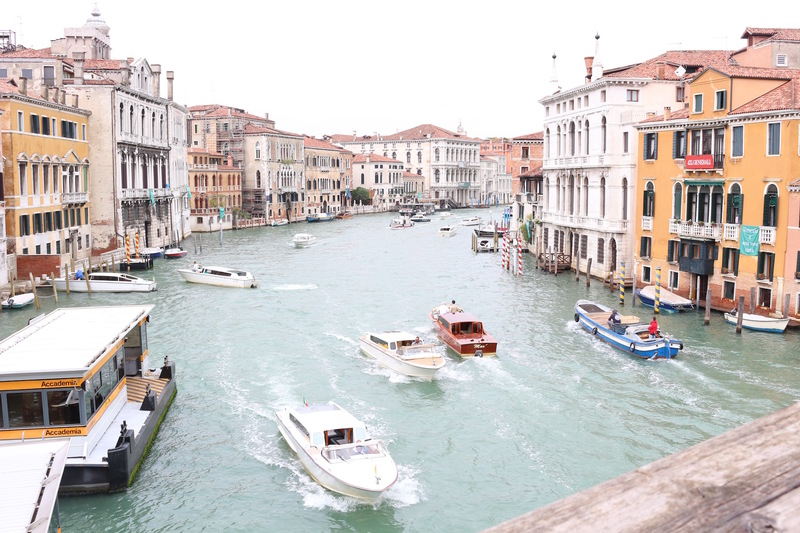 If you’d prefer to be in the dead center of all the tourist sites, we’re all about Bauer Palazzo, or Gritti Palace for those with a looser budget. WHAT TO DO: There’s so much to do in Venice, that these will undoubtedly be some of the busiest days of your entire trip. History buffs should visit St. Mark’s Basilica and Doge’s Palace in San Marco. You’ll then work up an appetite and desperately need an aperitif + some cicchetti (little nibbles like Italian tapas). In the afternoon, grab a bottle of champagne and hop in a private gondola for a 30-min ride (~75 euros). The next day, take the water taxi over to Murano and Burano to see two of the three most colorful islands in the Venetian Lagoon. 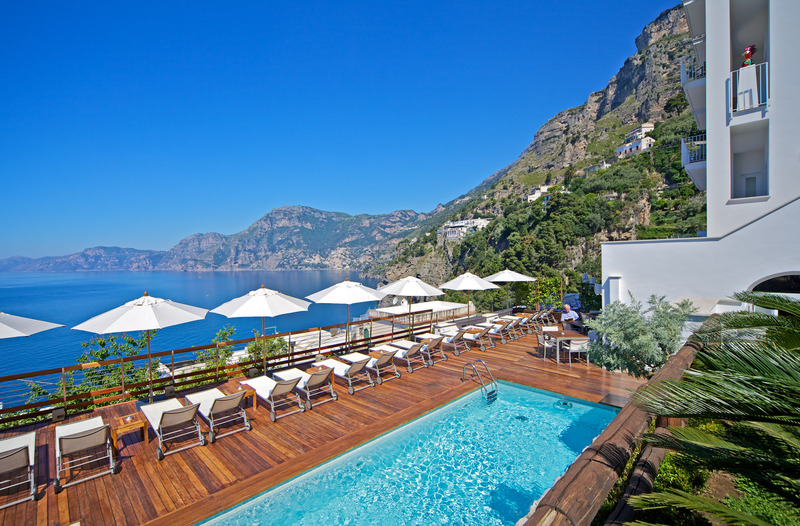 After Praiano, we went to Positano and stayed at Hotel Marincanto. 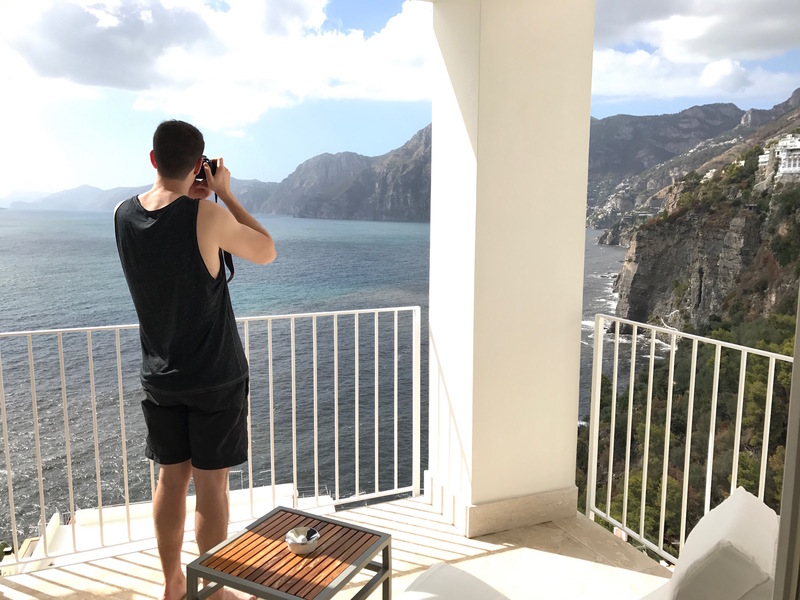 Here’s what I loved: the unbelievable views + easy and private beach access that leads directly down to Positano beach. I wasn’t as crazy about the dated decor, breakfast situation or the fact that there were no chairs by the pool and instead, they had a sundeck about 100 feet away. This isn’t terrible, but it would be nice to lay out and then hop directly into the pool to cool off instead of being completely sun-drenched without shady umbrellas on the deck. If you’re looking for a more luxurious experience instead, Il San Pietro and Le Sirenuse are obvious favorites, with Covo dei Saraceni ringing in with an honorable mention. 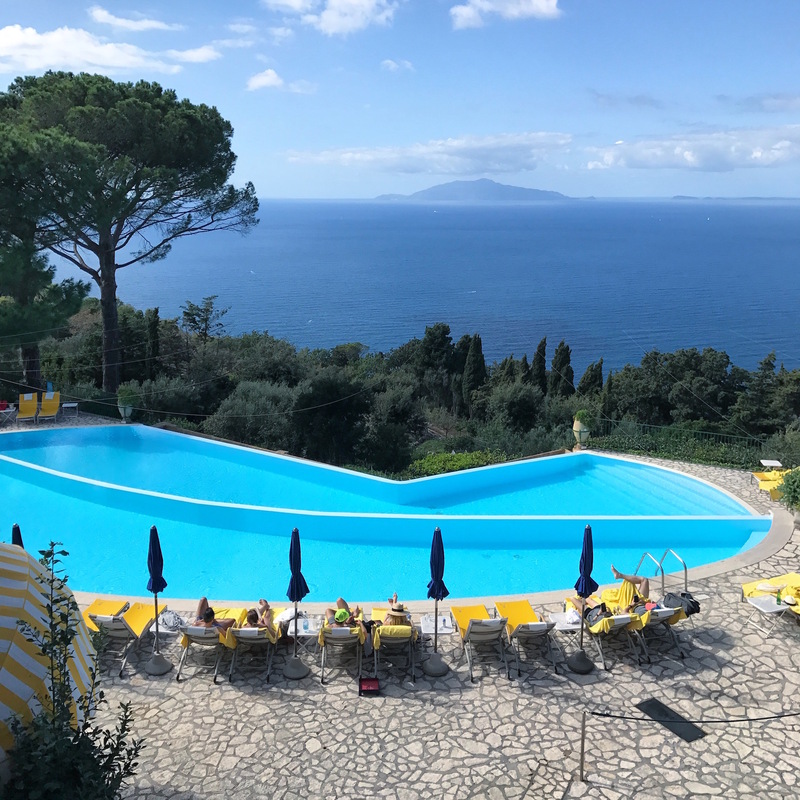 Important note: If you’d rather have a more romantic, extremely luxurious and less touristy experience then we’re OBSESSED with Caesar Augustus in Capri — the epitome of old-world perfection and authentic Italian luxury. They have a massive onsite garden with fresh fruits, veggies and herbs, and you can walk through and taste things as if you’re on the set of Willy Wonka. You can imagine that all of the food served here is farm to table and insanely delicious. I’ll NEVER forget the tomatoes I ate at Caesar Augustus….never! The views are also to die for, with literally endless amounts of sea stretching from corner to corner. If I could teleport to any place in this exact moment, it would be Caesar Augustus in a heartbeat. WHAT TO DO: In Praiano, lounge on some of the private beach clubs and literally just veg. In Positano, rent a boat to see some of the other gems along the coast like Ravello and Amalfi, or rent a couple of beach chairs and cozy up with to-go sandwiches from Capricci. 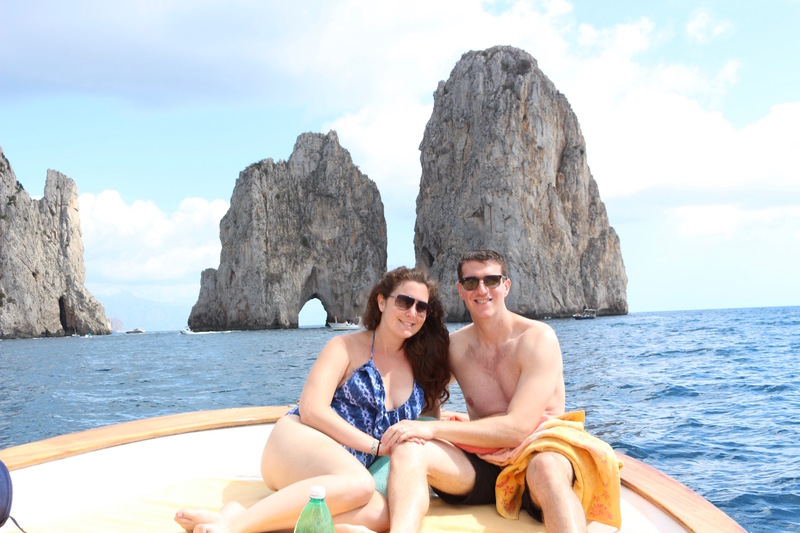 If you love being out on the water, take the ferry to Capri and book a private gozza boat with Capri Relax Boats, our favorite company. You’ll sip Champagne on the high seas while sailing in and out of bright blue and green grottos with your own personal sailor on board. Shout out to Costantino, who literally wrapped us in towels each time we got back in the boat. A real gem! 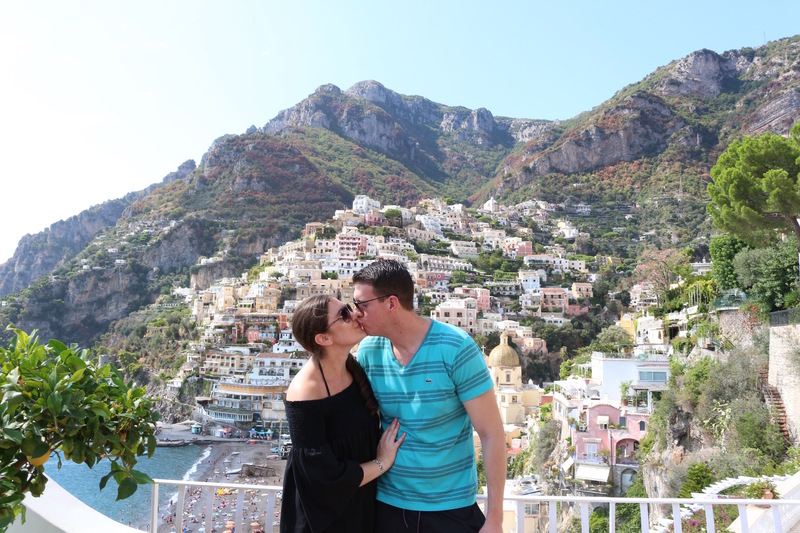 If you’re ready to bring your dream Italy honeymoon to life (or any luxury trip to Italy, for that matter), click here to start the planning process. I’m impressed, I must say. Really not often do I encounter a weblog that’s both educative and entertaining, and let me inform you, you have got hit the nail on the head. Your concept is outstanding; the difficulty is something that not enough people are speaking intelligently about. I am very glad that I stumbled throughout this in my seek for one thing referring to this.